“It just got to be impossible to do by myself,” said Daniels, noting that she could not afford the price to maintain her pride and provide for her family and accepted the referral from her social worker to Helping Families, which in turn relieved her of so much stress at a time where there was more than enough in her family. Violet changed my life and you changed my life by helping her life. 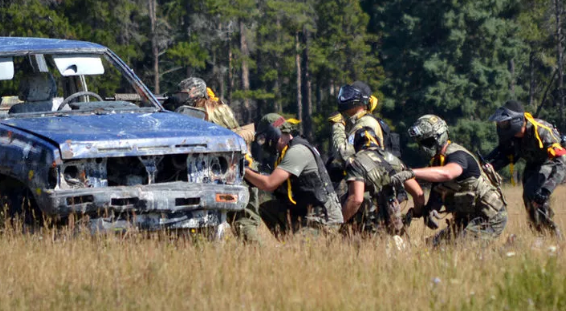 Thank you from the bottom of my heart,” Daniels told the 145 players gathered on Sunday before heading out into the fields for paintball, receiving applause from the people who came out to help families like hers at a time where hope is so incredibly important. 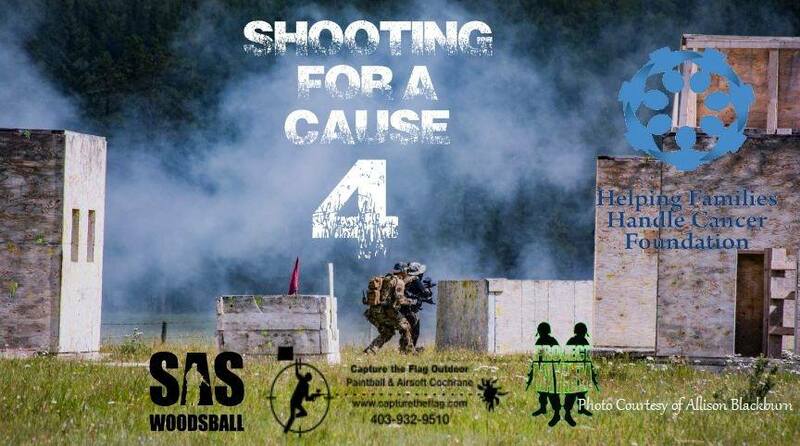 It is almost time to head out for a day of coordinated military maneuvers, or a nice attempt at them, at Capture the Flag’s fourth Shooting for a Cause event, a family friendly event that raises money in support of Helping Families Handle Cancer. I have been blessed more than once to sit down with Carie Stock. I was introduced to Carie a couple of year’s ago when I had the opportunity to interview five interesting Cochrane based artists and her story is one that resonates with me. Some people have a tremendous gift of making people comfortable…like you’ve known them for year’s…and one of those people is 33 year old Carie. Infectious, inspiring, positive, and determined; to me she is unstoppable. To understand her determination you would need to walk in her shoes. You see childhood memories for me include jumping through the sprinkler, riding my bike, and underducks at the park; while Carie’s include doctors, hospital beds, and continuous check ups. Carie is a childhood cancer survivor. With only a 10% survival rate, Carie to this day turns life challenges and into positive life changing experiences. Although this extremely busy woman has little time personally for herself, Carie gives the gift of time to other families. After nearly dying of cancer at infancy, Carie Stock has dedicated her life to supporting others suffering from the disease. “I feel like I found my purpose because of that,” said Stock, 32, executive director and founder of the Helping Families Handle Cancer Foundation (HFHCF). The non-profit organization provides financial support to families with children diagnosed with cancer by covering costs associated with cancer treatment, from medication to medical travel costs, and even just parking passes at the hospital. Since it began in 2014, the event has raised $7,712 to aid the HFHCF in providing the financial assistance families need to focus on being their for their child as they fight against cancer and limiting the stress the illness places on the family. Two-year-old Dominic Rooney was diagnosed with acute myeloid leukemia 19 months ago. His parents Sean and Trish had to bring him to Calgary from Medicine Hat for treatment in 2013. Sean has been dreading Sunday nights for almost two years. 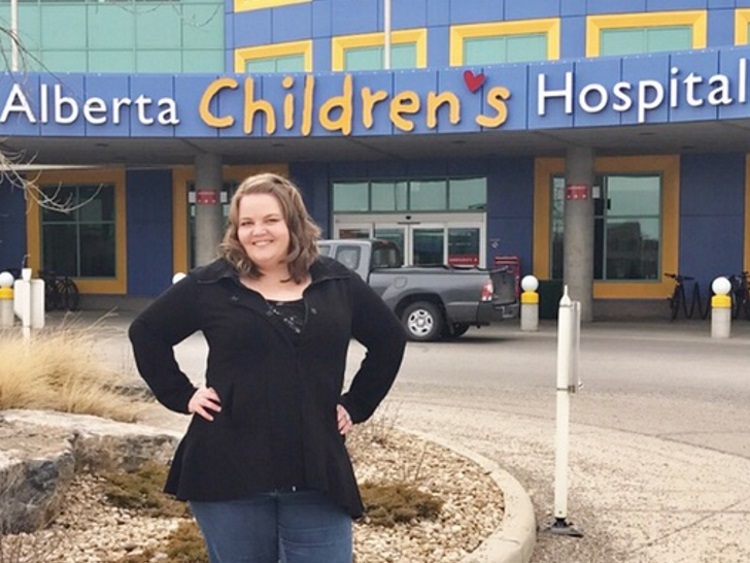 They marked the time for him to drive home to Medicine Hat, leaving Dominic and Trish at the Alberta Children’s Hospital. Proceeds of January’s Kimmett Cup 7 will go a long way in helping youth through Children’s Wish and Helping Families Handle Cancer. Representatives of the Lindsay Leigh Kimmett Memorial Foundation presented Children’s Wish with $112,000 and Helping Families Handle Cancer with $16,000 on Feb. 28. The donations were made possible by the 400 players, 100 volunteers and countless fans who play in the annual Kimmett Cup held to celebrate the life of Lindsay Leigh Kimmett.